If Girlfriends Behaved Like Boyfriends… This Video Is TOO Funny! We’re pretty sure that every girl has at least once in her life imitated her boyfriend for fun...haven’t YOU done it too? But have you ever wondered what would happen if things change and girlfriends start behaving like their boyfriends ALL the time?! Well, we could’ve never imagined it till we saw this video by youtwoTV. They are hilarious, like always! This video made us laugh so hard that we just couldn’t help but share it with you. 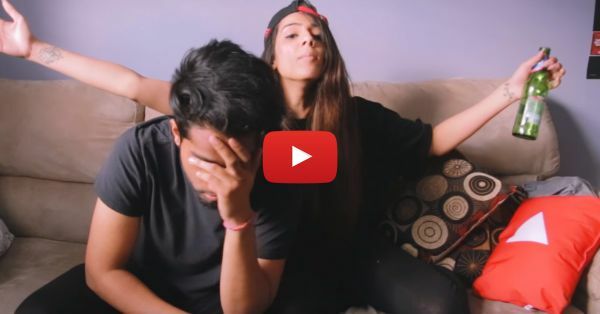 So, watch and share this video with your boyfriend to tell him that THIS is exactly what he does… :P :P PLUS: Subscribe to POPxo on YouTube for original videos + our favourite videos from around the web! MUST-READ: Girls vs Guys: What ACTUALLY Happens When We’re Home Alone!! MUST-READ: Things Guys Should NEVER Say To Their Girlfriends!